There are many creative ways to save money on your Wedding Day. 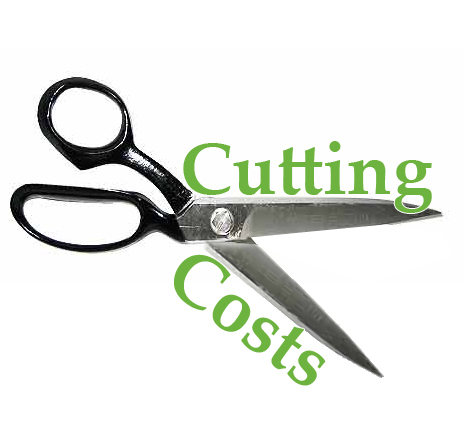 Although you may not be aware of costs of certain services until you begin planning, you quickly find out that everything adds up so any cost cutting is essential! If you can try keeping these Wedding Planning – Cost Cutting Ideas in mind when planning they may help maintain your budget, without cutting corners. Try not to get carried away with the tasks you enjoy doing and do what makes best sense first during planning. Once you have determined your Wedding Budget, decide what means most to you and what you are willing to be flexible on. Some vendors have put together a few packages they think may help aid in decision-making. But be sure to inquire about what is included in each package. Are you able to add to, or take away any services built-in the package? Are services available to add a la carte to guarantee you get specifically what you want if a package is not working for you? Asking these questions up front will ensure you get exactly the services you need for your Big Day without any extra “fluff”. If your date isn’t set in stone, try planning for the off-season or consider a Friday or Sunday for your celebration. The majority of weddings are not held on these days, which makes prices more negotiable. Also, try having your ceremony and reception at the same venue. This will help to reduce you rental fees and the wedding coordinator will help keep you on track with planning. If you really want to get that fancy 5-tier cake for your guests to see, by all means GET IT! Have your baker create an edible bottom tier for your cake cutting and the top tier to save for your anniversary. Save money by making the layers between mock cakes and serve your guests from an already sliced sheet cake from behind the scenes. Imagine how much time you will save! Immediately after you cut the cake your guests will be served. Don’t make them wait while the server takes your cake to the back to be sliced! Make your planning a bit easier by listening to the professionals who have personally seen specific service vendors in action. Most venues have a list of Preferred Vendors, for a reason. They have seen more Entertainers, Photographers, and Videographers than any one member of your family or friends. The venue is putting their reputation on the line with giving you their recommendation. Once you receive your Vendor List, still do your research, but keep in mind that recommendations do not come to those who don’t put in the work to receive such a compliment. You’ve done the work in selecting the venue, now it is time to take the vendor recommendations to help with further planning!